🎧 SuccessSubliminals – Reprogram Your Subconscious Mind For Success! Destroy limiting subconscious beliefs that hold you back. Implant new, positive, empowering beliefs that unlock your full potential. Attract and manifest what you want. What Are Subliminal Audio Messages? A True Change Begins Underneath The Surface! “Subliminal” means below the threshold of conscious perception. Put simply, subliminal audio refers to sounds played at a level you are unable to consciously hear – but that your subconscious minds is able to perceive. Subliminal (audio) messages are affirmations, that bypasses your conscious mind and go straight into your subconscious. These hidden positive affirmations are embedded in the music, just below your hearing level. Because your conscious mind is not aware of the subliminal messages underlying the music, it can’t put up barriers against it. That’s why subliminals avoid any resistance, which would usually hold you back. Your conscious mind will hear only music… but there is much more happening behind the scenes! With repeated listening, your subconscious mind will accept the suggestions as true. Literally creating new neural pathways. Your retrained mind will then attract and manifest in alignment with the messages received. Study after study has shown that subliminal audios can produce measurable and lasting effects. 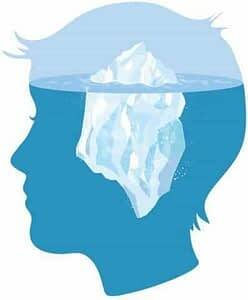 Did you know that over 90% of what you think, feel and do is controlled by your subconscious mind? There are so many other subliminal audios out there that promise to give you results, and some of them might even work. However, our powerful subliminals are much more effective because, unlike them we have really taken the time to study, understand and test what EXACTLY makes you get your desired results. The secret to our subliminals is a carefully crafted affirmation script, plus advanced audio processing technology!